According to the new amendments to the Russian Tax Code, companies will be able to offset the costs for professional training and qualification assessment of workers starting from January 1, 2018. This new tax benefit will remain in effect until December 31, 2022 and allow companies reducing their taxable base by classifying as training expenses the costs incurred under agreements on network form of implementing training programs. Such costs include the company’s expenses for premises maintenance, purchase of equipment required for training, teachers’ salaries, as well as other expenses in connection with the services of educational organizations. Training must take place on the basis of an agreement with Russian educational and scientific organizations or foreign educational organizations that have been licensed to conduct educational activities. As for qualification assessment, it must be performed on the basis of the relevant service agreement. In order to receive the tax benefit at least one of the training program graduates must conduct a labor agreement with the company for a period of at least one year no later than within three month after completing the program. Starting from January 1, 2018 the Labor Inspectorate will conduct scheduled inspections of employers with the help of mandatory checklists, developed by the Russian Ministry of Labor and Social Protection (or Rostrud) earlier this year. Rostrud has already approved 107 lists, which contain questions to ensure compliance with Russian labor laws and measures for responding to violations. A total of about 200 checklists will be developed. Starting from January 1, 2018, checklists will be applied by state labor inspectors in cases of employers belonging to the moderate risk category; from July 1, 2018 – for any employers regardless of the established risk category. The risk category assigned to a particular organization can be found on the ministry’s website. Currently all Russian companies are exempt from tax on movable property recorded as fixed assets since, but starting from January 1, 2018 this tax benefit becomes a regional one meaning that it will only apply in the regions that decided to keep it. The new rules will only apply to movable property, which has been listed on the company’s balance sheet as a fixed asset after January 1, 2013. If a region decides against the benefit, then the 2018 tax rate on movable property won’t exceed 1.1%. Good news for the tax residents of the Moscow Region: movable property won’t be taxable there. However, there exists a number of certain restrictions. 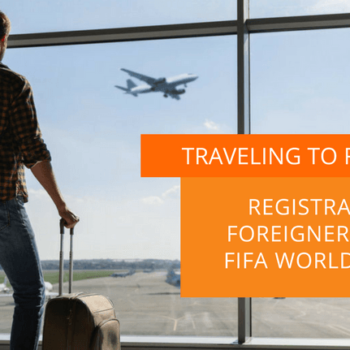 For example, the benefit does not apply to objects accepted for registration as a result of reorganization of a legal entity, and when transferring property between related parties. Updated on 12.02.2018: Sergey Sobyanin confirmed that Moscow will keep zero tax rate on corporate movable property in 2018. Saint Petersburg and the Leningrad Region will also keep the benefit but only for property produced no more than 3 years ago. You can monitor the news on tax rates for corporate movable property and potential tax benefits on the official website of the Russian Tax Service. 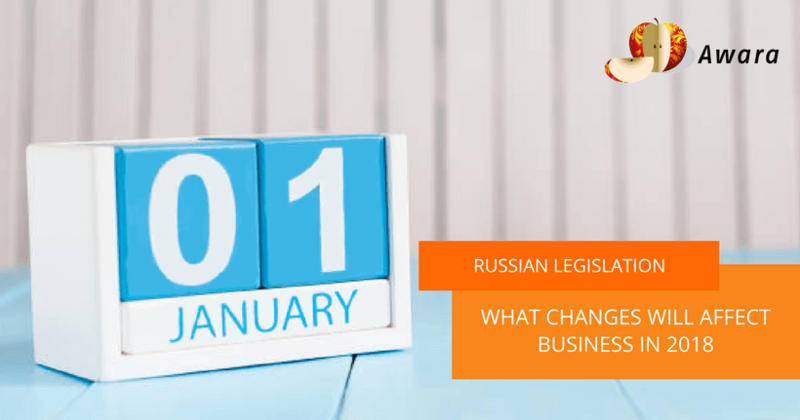 In 2018 a new article will be introduced to the Tax Code of the Russian Federation on investment tax deduction, which will enable to reducing corporate profit tax. Although, it will apply only in the regions that decided to adopt it. The deduction will effective from January 1, 2018 to December 31, 2027 (Federal Law No. 335-FZ of 27 November 2017). The deduction applies to such expenditures as acquisition, erection, reconstruction, modernization, refitting, and technical upgrade of company’s fixed assets. The investment tax deduction reduces not the taxable base, but the amount of corporate profit tax, which is transferred to the federal and regional budgets. Companies will be able to reduce profit tax in cases of acquisition or modernization of fixed assets belonging to the third to seventh depreciation groups. Regional authorities have the right to limit these categories. However, the investment tax deduction can’t be enjoyed by any company. For example, it’s impossible to get for participants of regional investment projects, residents of special economic zones and foreign businesses that are tax residents of the Russian Federation. Regional authorities also have the right to include any other category of taxpayers to this list. There exists one important aspect of this tax deduction: company loses the ability to charge depreciation and apply an accelerated depreciation allowance to fixed assets in relation to which the deduction was applied. The company’s or its autonomous subdivision is located in the region of the Russia Federation, where the local authorities established the right to apply the deduction. Starting from January 1, 2018 the company puts its fixed assets into operation or changes the cost of fixed assets already put into operation as a result of renovation, extension, modernization, and technical upgrade (for fixed assets with a useful life of 3 to 20 years). 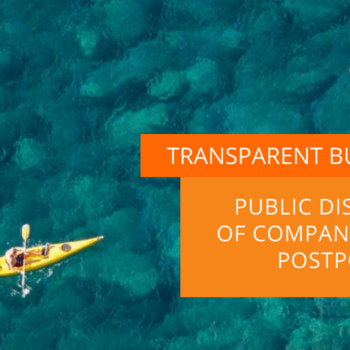 Additionally, these assets must be accounted on the balance of the company or its autonomous subdivision located in the region that has adopted the investment tax deduction. The company has laid down the decision to use the right to the deduction in its tax accounting policies. Russia joined the OECD (Organization for Economic Co-Operation and Development) Multilateral Convention and is to start automatic exchange of information in 2018. Data upload and exchange will be performed once a calendar year following the reporting year. The first exchange for the reporting period of January 1, 2017 – December 30, 2017 will start on September 30, 2018. The exchanged information will include data on individual bank accounts and controlling persons of foreign entities (beneficiaries). receipts to the account during the reporting period and account balance as of the end of the reporting period. However, the list of receipts to the account will be private and won’t disclose any income sources automatically. Russian federal Tax Service will be able to receive such kind of information only upon an additional request. The boarding pass must contain the confirmation of the fact that the reportable person used the air transportation service. As a rule, this is confirmed by the airport security check stamp.